Area competitions for SJ, Dressage and Eventing are held in July. Each branch can put forward 2 teams of 4 plus 2 individuals for each level in each sport to compete against the other branches in Area 9. Team members are also competing as individuals. From each team of 4 only the top 3 scores count towards the team total. 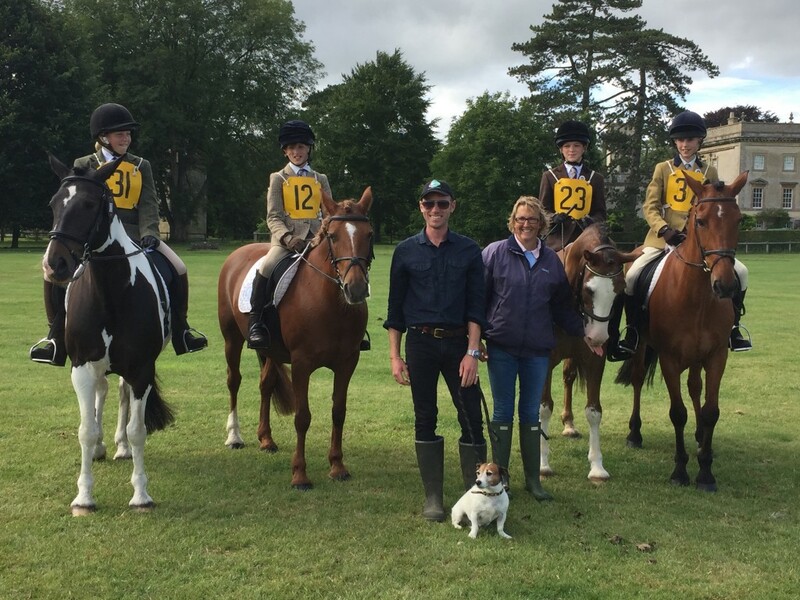 The top teams and individuals at the Area competitions for Novice, Intermediate and Open levels qualify to compete at the prestigious PC Championships at Cholmondley Castle. The exact number of qualifying places depends on the number of members competing at the Area competition. There is also an entry level Regional competition in all sports to qualify for the Regional Championships at Rectory Farm, Glos at the end of August. Please make a note of the dates for the Championships and try to keep those dates free in case you or your team qualify. Novice, Intermediate and Open Championships are at Cholmondley Castle, Cheshire. 16th-20st August. Sample timetable from 2017 is here. Team Long list acceptance forms can be downloaded HERE. 2019: Long lists for this year will be announced early in June. Please ensure that you have attended at least one rally for the relevant discipline AND have sent results to the team manager BEFORE 1st June 2019. The Big Elmwood Rally will be the last opportunity to be assessed for this year. Please check the discipline(s) and level you have been offered and check all the information is correct. We have put a lot of time and thought into ensuring competitive but fully inclusive teams made up from members we feel are already competing and training confidently at the relevant level. We want our members to enjoy the Area competitions are that will only happy if they are totally confident at that level. If in doubt it is better to wait for next year. To accept your place please send entry fees and the acceptance form to Joy Wilson having first read the code of practice and Eligibility requirements below. The discipline managers will be in touch to confirm your training dates; we look forward to seeing you training hard to perform to the best of your abilities at the Area competitions. As a branch we are obliged to field our most competitive teams at Area competitions. If selected for a team, members are expected to attend regular training rallies. Once a place on the squad has been offered and accepted you will be liable for payment for your place at the competition even if you are unable to attend or fail to fulfil the eligibility requirements. Members are responsible for ensuring that they are, and remain, eligible for the competition. Members are expected to attend the prize giving for their class at Area competitions and Championships. Teams and individuals will be warmed up by a team trainer and must attend the team course walks. XC course walks may be the day before the competition. If you are not available for the Championships and you or your team qualify you must let the team manager or DC know before prize giving as the qualification may need to be passed down. In addition to teams, we are able to include a number of Individual competitors. Individuals may be added to a team if numbers permit. If ANY of the following apply, please ask for an individual place as our teams will get the most from the experience if they can operate as a unit. You are unable to commit to team training before the Area competition. Long lists are put together by a selection panel of team trainers, team managers and committee in early June based on attendance at rallies and recent competition results at the relevant level. The final teams and individuals are decided 2 weeks before each competition based on commitment to training, progress and competition results, however the team selectors reserve the right to make changes to the teams at any time. Please read the eligibility rules for EACH sport you are competing in. They are further down this page. It is essential that you are eligible on the day of the competition AND on the day of the Championships if you qualify or the ENTIRE TEAM will be disqualified. The Pony Club office will check the records of every qualifying combination. Check this eligibility table if you are competing at different levels in different PC sports. If you have any concerns about what level you can do in the different competitions please contact Nicola Cammack on nicolacammack@yahoo.com for clarification. Send results to the relevant manager. Max 75cm. 12 yrs and under. Individuals only. Max 95cm. No height and age restrictions. Combination can’t have achieved a double clear at BS above 1m. Combination can not compete at Intermediate or above in other disciplines. Max 105cm. No height and age restrictions. No JA ponies or Grade A or B horses. Combination can’t have achieved a double clear at BS where any of the fences were above 110cm. Combination may have evented at PC Open level but can not compete if they have completed an Open SJ course in previous years. Max 115cm. No height / age restrictions. Grade As can’t have more than £500 winnings in the past year. 120cm. No area competition, just at the Championships. Dressage Areas for ALL levels will be Thursday 29th July 2019 at Radcot. 70cm. Ponies under 14.2hh, riders 12 and under. 80cm XC, 85cm SJ. No height restriction on ponies. Must not have competed at Novice in any discipline this year or in previous years. 90cm XC, 95cm SJ. Any age and height. Combination not to have competed at BE Novice or to have completed more than 3 clear rounds at BE 100. Combination not competing at Intermediate SJ. 100cm XC, 105cm SJ. Any age and height. Combination not to have competed at BE Intermediate or to have completed more than 3 clear rounds at BE Novice. 110cm XC, 115cm SJ. Any age and height. Members not eligible or not selected for Area eventing may enter the unaffiliated competition. Please see the schedule for details.